Milestone sessios are so much fun and so special. 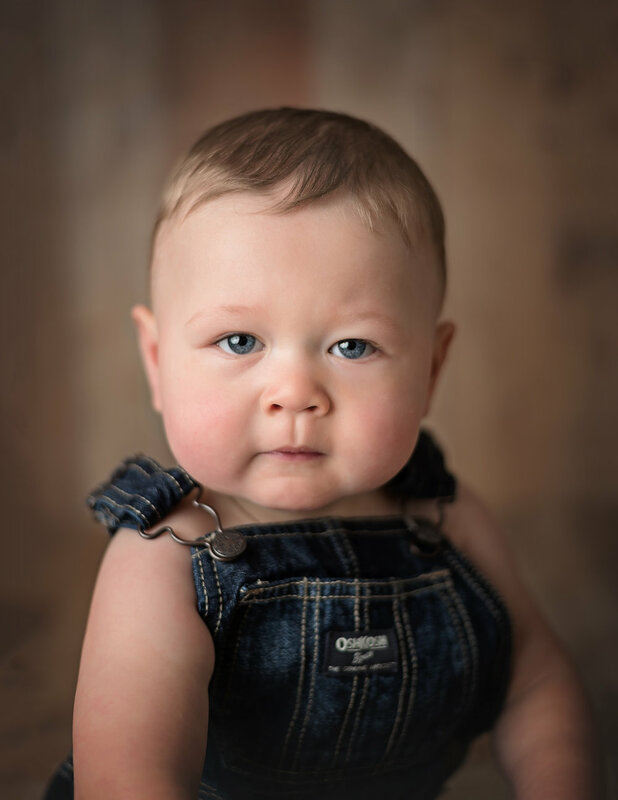 As a Lonsdale Family Photographer I get to preserve the memories of children as they transition from baby to toddler, toddler to preschooler and more. I love tickling, making silly faces and just hanging out with kids. It is truly an honor. Going into Colin's session I was told he wouldn't smile and that he was a serious boy. So I shouldn't worry if he isn't smiling on picture day. I honestly thought to myself.... challenge accepted! 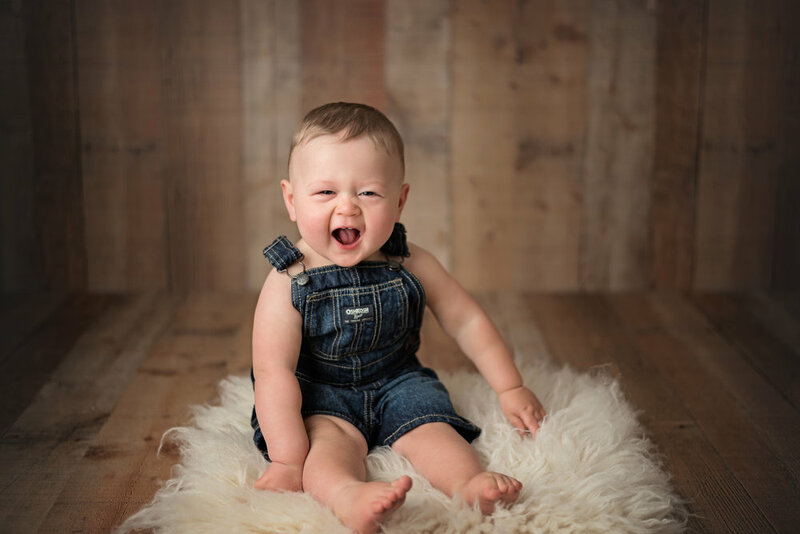 Many parents desperately want the biggest of smiles during their session but if a child isn't feeling it there is only so many goofy things that can be done to get them to smirk, smile or laugh a bit. However going into a session more relaxed and just letting me do my thing works perfectly. I was prepared with all my best tricks and though Colin tried to stay serious he just had to share some smiles for his first birthday session. He had so many different facial expressions and just couldn't be cuter. I mean seriously check out these suspenders! As a Lonsdale family photographer I just love capturing each person in their own special way and Colin's serious stare is my favorite look! Sure a beautiful smile is great to have too but mom and dad will always look back at these serious stares and remember how he acted as a baby. I'm sure soon enough he will be a smiley giggly goofball! Especially since he is going to have a little brother or sister to play with! I just cannot wait to see if it is a boy or a girl. Waiting to find out is the best though and I highly encourage everyone (even random people I just met) to wait. It may be hard to do but this is a surprise worth waiting for. Happy First Birthday Colin! You are such a handsome little man!